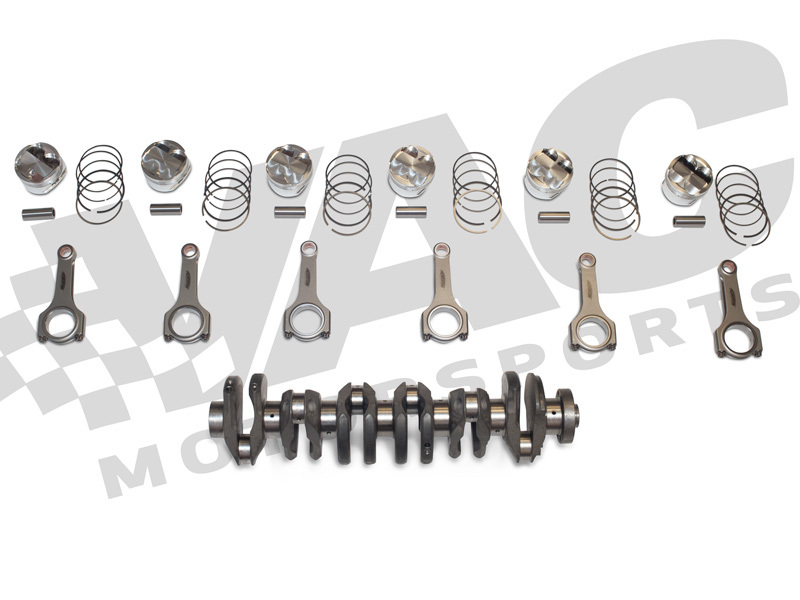 Our VAC S54 3.4L Stroker Kit has been properly designed and tested to ensure performance, durability, and reliability in every form of racing. With years of proven performance in the field, there is not a better choice when it comes to these crucial components available anywhere. Pistons are as always, our trusted partners at CP who have optimized all design parameters for ultimate output and strength. The Crankshaft and Connecting Rods are also made for zero compromises: Made in the UK by Arrow Precision to beyond OE Motorsport quality, each crank is machined from the highest quality billet steel alloy to our unique specifications, and the rods as well. With years of experience and an optimized design, this stroker kit is a trusted setup that is rivaled by nothing else available at any price. We have proven this configuration works brilliantly and reliably, all while using BMW style bearings. Don't bother with weaker offset-ground or modified cranks, or those that have to use a domestic style bearing! Proven to win in the even the most grueling scenarios of 24-Hour endurance races! With maximum reliability and displacement, your S54 will scream! Our crank maintains a lightweight design and offers gains in torque and horsepower throughout the powerband. (6) Forged connecting rods with ARP hardware. This crank can help give the S54 a wider powerband with more torque across the entire powerband, giving you the edge off the line and out of corners when you need it most! Always remember to check piston to valve clearance when assembling your engine. From Chad Nelson of Scottsdale, Arizona on 2/28/2010 .